RHYS ERNST is a filmmaker and artist. His work investigates transgender identity in the context of larger narratives, and seeks to develop and expand the portrayal of trans lives in media. He is a Producer of Amazon’s “Transparent” and created the title sequence for the series. Ernst was nominated for a 2015 Emmy Award for directing and producing the webseries "Transparent: This Is Me," which won a Special Recognition GLAAD Award. In 2016 he teamed up with Focus Features to create the online series "We've Been Around," a collection of short films on transgender pioneers. JELAYNE MILES, 11B Productions Co-Founder & Principal, is currently in development with Stone Butch Blues, a feature film based on the iconic novel by transgender pioneer Leslie Feinberg. She optioned the award winning play Exit the Cuckoo (nanny in motherland) for a dramedy series that 11B is spearheading. Jelayne is Executive Producing a VR series for an international co-production that will shoot in 2016. Previously Jelayne held positions with two of the most iconic social justice figures of their time. She was director of William M. Kunstler’s law office and a lead aide and fundraiser to former U.S. Attorney General Ramsey Clark. She co-founded Eyewitness a series of educational documentary shorts about critical international issues of the day including collaborating on the Panama Deception which won the Academy Award for best documentary in 1993. Jelayne is also a principal in Frontier Fiscal Services, a finance company she heads with her husband servicing industry throughout the Bakken region of the Dakotas and Montana. JASE MILES-PEREZ, 11B Co-Founder & Head of Development, has held various jobs in film development and production since2006, for a wide range of independent and commercial movies released by Warner Bros., CBS Films, 20th Century Fox, Screen Media Films, and IFC Films, among others. In addition to his role at 11B, Jase holds M.S. from Columbia University, where he was a member of the inaugural class of the Narrative Medicine program. He continues to pursue his interest in the meeting of the arts and sciences by serving as a teacher in the Narrative Medicine Department of Columbia Medical Center, and City College of New York. GIULIA CARUSO is an Italian filmmaker and founding member of LA-based Nonetheless Productions. CHRISTINE BEEBE produces and directs documentaries, online episodic series', and multi-media branded content. We’ve Been Around marks her first time collaborating with Rhys Ernst. She is currently producing two documentaries, Tony Conrad: Completely in the Present and ONCE I WAS: The Hal Ashby Story and she produces content for companies such as WIRED Digital, MTV Other, Interscope Records, Sony BMG, Scion, Reebok and Nike. Her directorial debut Felix Austria! premiered at HotDocs film festival in 2013. SUSAN STRYKER won an Emmy for her debut documentary film Screaming Queens: The Riot at Compton's Cafeteria (ITVS/Frameline, 2005), co-written, co-directed, and co-produced with Victor Silverman. With director Michelle Lawler, she co-produced Forever's Gonna Start Tonight, which won the 2010 Outfest LA Audience Award for Best Documentary Feature. She's currently working on Christine in the Cutting Room, an experimental archival media installation about the 1950s transsexual celebrity Christine Jorgensen. An academic as well as a filmmaker, Susan has written and edited works such as Queer Pulp, Transgender History, and the two-volume Transgender Studies Reader. She is the former Executive Director of the GLBT Historical Society in San Francisco, and Director of the Institute for LGBT Studies at the University of Arizona in Tucson, where she is also Associate Professor of Gender and Women's Studies. MONICA ROBERTS, AKA the TransGriot (Gree-oh) is a native Houstonian, GLAAD award nominated blogger, writer, and award winning trans human rights advocate. She's the founding editor of TransGriot, and her writing has appeared at the Bilerico Project, Ebony.com, The Huffington Post and the Advocate. She works to foster understanding and acceptance of trans people inside and outside communities of color and was recently honored with the Virginia Prince Transgender Pioneer Award. RIKI WILCHINS is the author of three books on gender theory and the forthcoming book on the early days of trans activism “Trans/gressive.” A co-founder of the street action group Transexual Menace, s/he was founding ED of GenderPAC, the first national advocacy organization devoted to gender identity rights. 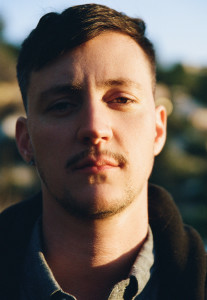 ELLIOT MONTAGUE is a Los Angeles based experimental and fictional narrative filmmaker. Elliot’s films explore the nuances of transgender and queer narratives through an engagement with the familial and rural. He was a recipient of multiple awards from the Princess Grace Foundation for his MFA graduate thesis film at UC San Diego and for his multimedia collaborative project, WREST. ROSIE HABER is an aesthetically minded writer/director based in LA. An alum of NYU’s Tisch School of the Arts and a Global Social Change Fellow, they have focused on making international films to explore the ways in which common human experiences connect people across borders. They have directed projects in the US, Bolivia, Indonesia, Malaysia, Singapore, the Philippines, and India - including music videos for MTV India’s Artist of the Year, Monica Dogra. They are an alum of the prestigious Yaddo Artist Residency, Film Independent's Artist Development labs, Outfest's Screenwriting Lab, and the AFI Directing Workshop for Women. Their short, Jellyfish, took home the Grand Jury Prize at Outfest in 2014. They are the co-creator and director of a new digital documentary series that explores the lives of queer youth in the American South entitled New Deep South. The first episode, Instababy, had over 68,000 views in the first week and was covered in numerous media sources including Huffington Post and The Atlantic. Haber is also the writer of the screenplay adaptation of the iconic queer novel, Stone Butch Blues - which is currently in development. SIGRID GILMER writes black comedies that are historically bent, totally perverse, joyfully irreverent and are concerned with issues of identity, pop culture and contemporary American society. Her work has been produced by Skylight Theatre, Pavement Group, Know Theatre of Cincinnati, Cornerstone Theater Company and Highways Performance Space. The Habitat Theatre. She is a winner of the Map Fund Creative Exploration Grant, the James Irving Foundation Fellowship and is an United States Artist Ford Fellow in Theatre. JULES GIMBRONE (b. 1982 Pittsburgh, USA; lives and works in Los Angeles) is an artist and composer. For Gimbrone, sound is more methodology than medium. LISA JANSSEN is a researcher and writer living in Los Angeles. Most recently she oversaw research and clearance on the films CALL ME LUCKY, TONY CONRAD: COMPLETELY IN THE PRESENT, and ONCE I WAS: THE HAL ASHBY STORY. Previous to film work, she spent ten years as a manuscripts and photographs archivist. XAVIER SCHIPANI is an East Coast Native currently living in Austin, Texas. He grew up in the Washington D.C. area riding the subway wherever it would take him but on most days it was to the same three places, The National Gallery of Art, The Hirschorn and the Smithsonian. He knew from a young age that he was interested in art and the invention buried in the city around him. It took him almost half his young life to realize what he wanted to do with this growing inspiration, but once he did he didn’t look back. He received his BFA in Illustration and Design at Maryland Institute College of Art and continued on an independent study to Caumont Centre d’Art in AIX en Provence as well as The Marschutz Painting and Drawing School in France. He left his full time job over a year ago and now supports himself working as a designer, consultant and muralist. He has worked hard to turn a hobby into a career while simultaneously creating personal works to show all over the country and cities in other parts of the world.